Have a heart this month – it is the month of Valentines Day after all – with this heart button. 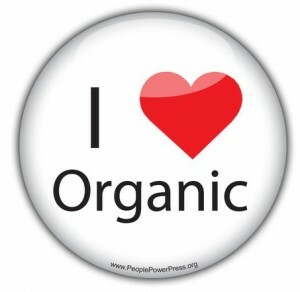 After you’re done making a love button, make some organic food to go along with the organic food pin-back button. Getting organic food doesn’t mean having to travel to some far away farmers market. Even if you live in an urban area you can still access organic food. If you are in Toronto check out Foodshare. They have a program called Good Food Box that delivers produce to over a hundred community centres, so you’re sure to find a place near you. You can find this heart pin-back button and other environmental buttons here. This entry was posted in Badge-A-Minit and tagged Badge-A-Minit, badge-a-minute, BadgeAminit, Badgeaminute, environmental on February 5, 2014 by Barry Badge.